Home BOLLYWOOD After Priyanka Chopra, Kapil Sharma To Receive Dadasaheb Phalke Award? After Priyanka Chopra, Kapil Sharma To Receive Dadasaheb Phalke Award? The Dadasaheb Phalke Award is the most prestigious award in Indian Cinema. The recipient is honoured for their “outstanding contribution to the growth and development of Indian cinema and TV” and is selected by a committee consisting of eminent personalities from the Indian film industry. After Priyanka Chopra, stand-up comedian Kapil Sharma has been chosen for the prestigious Dadasaheb Phalke Academy Award. Even after being in the limelight for all the wrong reasons, Kapil Sharma has been chosen to receive the Dadasaheb Phalke Award this year along with Priyanka Chopra. According to a report in a leading media portal, this will be the second time Kapil will be receiving the Dadasaheb Phalke Academy Award. Kapil had previously won the award in the year 2014. However, he couldn’t receive the award for himself, as he arrived at the venue late. Since all the dignitaries and VIPs had already left, there was no one in the audience left to cheer for him. Thus, he has apparently promised the organisers that he will turn up at the venue on time this year to receive the honorary award by himself. Apart from him, Priyanka Chopra, Gulshan Grover, Vivek Oberoi and few others will also be given the award under different categories. As per reports, the organisers have created a new category especially for Priyanka Chopra which is that of ‘Internationally Acclaimed Actress’. 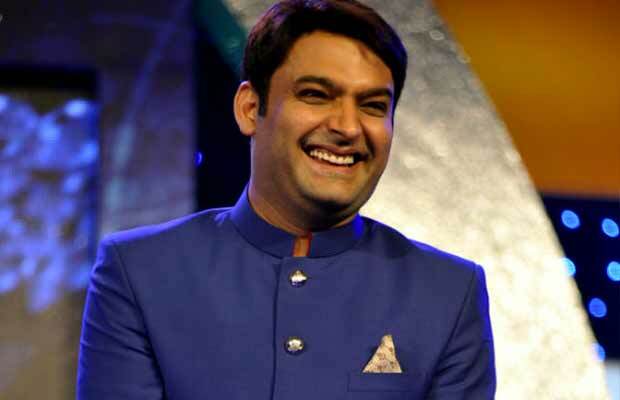 Looks like there’s the sunshine after dark clouds of controversies for Kapil Sharma. For the unawares, Kapil Sharma was in the news for his spat with Sunil Grover, which resulted in Sunil and three other members of ‘The Kapil Sharma Show’ quit the show. The controversy made his show’s TRPs reach a new low, resulting in the unwillingness of celebrities to be a part of the show. The makers also contemplated on taking the show off-air because of low TRPs, but it seems like it will not be taken off-air anytime soon and has been given an extension since Dus Ka Dum, hosted by Salman Khan is postponed now as the actor does have dates. So be ready for some pictures of Kapil Sharma and Priyanka Chopra flaunting their awards on social media going viral. Next articlePriyanka Chopra Bags Her Third Hollywood Film?